Dr. Jill Ammon-Wexler, "Pineal Gland & Your Third Eye: Proven Methods to Develop Your Higher Self"
OPEN THE GATEWAY TO YOUR HIGHER SELF. Science Meets the Metaphysical…The Amazing TRUTH About Your Third Eye! An Amazon best-seller. Do YOU want a direct experience of higher states of consciousness? Mystics, philosophers, religious teachers and shaman throughout time tell us the third eye is the gateway to our higher self and deeper life meaning. 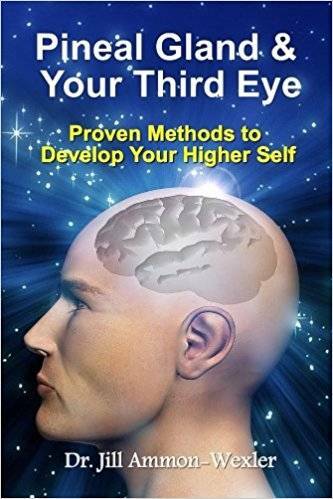 This unusual book clarifies what the third eye is, and explains its true nature in the brain as the pineal gland. Major research studies say at least 85% of us are capable of exciting higher self and 3rd eye experiences. 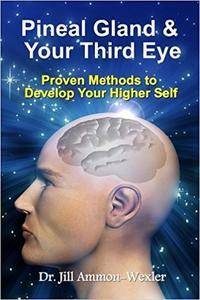 Contains 15 proven-effective step-by-step methods to activate your pineal gland and open your third eye. WHAT READERS ARE SAYING… "A brilliant read. Easy to follow, insightful and honest." "The best on the subject, very informative and complete." "Become self-aware… you can be driven by a higher motivation and achieve more than you had ever dreamed possible." "If you feel there's more to existence than what you can see around you, I recommend this book." " I liked the science … instructive and helpful to seekers of the inner truth."